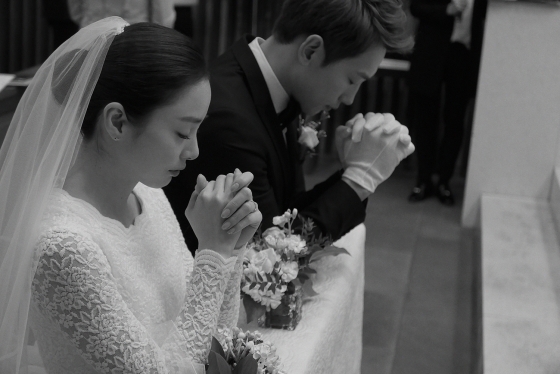 Kim Tae Hee & Rain's wedding attires caught South Korea off guard with the sheer simplicity of the clothing items. Insiders were quick to detail why the couple choose to wear what they did. 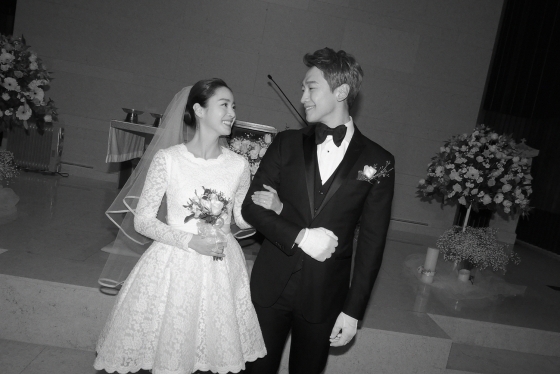 Kim Tae Hee's wedding attire, which consisted of a mini dress of simpler design, surprised many. It was her friends who revealed that she didn't want it to be too extravagant, considering the country going through a tough time, it didn't feel right to make the people think they lived in a different world. CEO Son Joo Hee of Jung Saem Mool took care of the makeup and explained it was very down to earth. Kim Tae Hee didn't want a flashy look with tiara or confetti. Instead the simplicity put the focus on the couple instead. Rain's suit wasn't brand new, but instead one of his old ones. The reason was very simple: time constraint. Due to his broad shoulders, the suit needs to be custom tailored and there wasn't any time. Especially since they wanted the wedding to be a secret until the last minute, he didn't want it to be revealed by accident.